Old Style breather for the Casale Split Case V-Drive. New Style breather for the Casale Split Case V-Drive. SYNTHETIC SAE 75W-90 M8 MARINE GEAR OIL 32 FL oz. 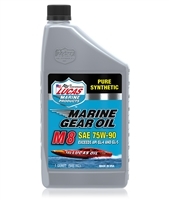 Lucas M8 Synthetic SAE 75W-90 Marine Gear Oil is a pure synthetic. Ball Spring assembly for the Casale In & Out V-Drive. .250 steel spacer used between the lower intermediate shaft and the bearing. Whirlaway Spring for the Casale Whirlaway. Billet Aluminum bearing cap for the Casale V-Drive Split Case Lower bearing. Lower Billet Aluminum bearing cap for the Casale Split Case V-Drive. Billet Aluminum bearing cap for the Casale V-Drive Split Case top bearing. Casale V-Drive Shifter Handle mounts to your Split Case In and Out V-drive to put it in and out of gear. Precision machined Casale 10 Spline gear spacer. Precision machined Casale 10 Spline Counter Bored gear spacer. Easily removes the top bearing of a Casale Split Cases V-Drive. Shifting Fork for the Casale In & Out V-Drive. Shifting Crank for the Casale In & Out V-Drive. Ratchet type shift selector which keeps your V-Drive from sliding out of gear. Locking V-Drive Shifter Handle 10"
Locking V-Drive Shifter Handle 6"
Locking Casale V-Drive Shifter Handle mounts to your Split Case In and Out V-drive to put it in and out of gear. Replacement for the Three Dog Slider for a Casale V-Drive. Output shaft for the Casale Split Case V-Drive. Replacement Dog for the Casale Whirlaway. Top shaft for the Casale 12° Split Case V-Drive. Top shaft for the Casale 10° Split Case V-Drive. Braces for your split case V-Drive. 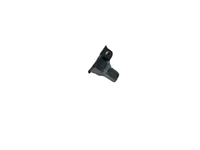 Replacement Center Plate for the Casale Split Case V-Drive. Replacement Shaft for the Casale Split Case V-Drive.